Established in 1988, CTSAA is a dynamic and well-respected contractor trade association. We have grown to become the largest and oldest state tile and stone association. To unite those engaged in the Arizona Tile and Stone industry in exerting a beneficial influence upon the industry. To build consumer confidence and safeguard the public welfare by promoting honesty, equality, integrity, and edification (as proclaimed in our “Code of Ethics”). To obtain pertinent information relative to the industry and make it available for each member and public’s beneficial use. 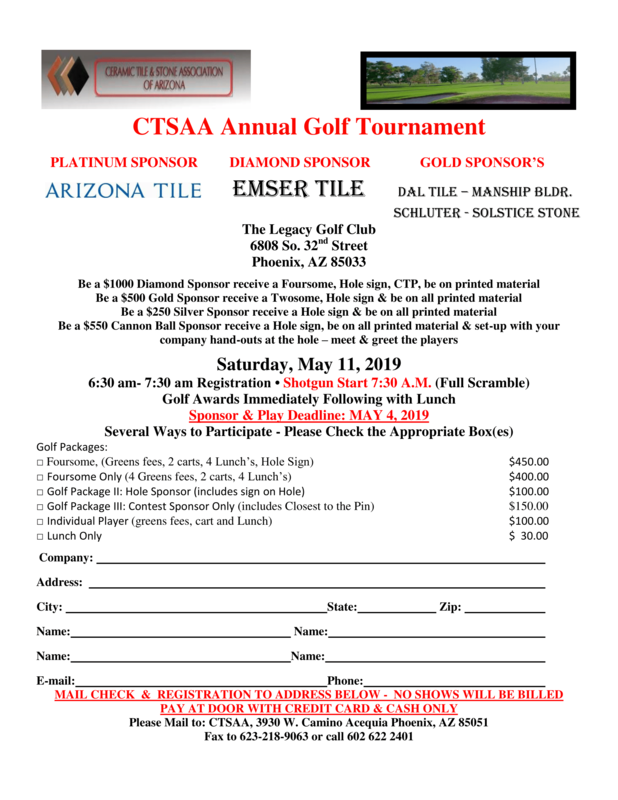 To make, enter into, carry out, and enforce any contract, agreement, or transaction which the Board of Directors believes to be in the best interest and for the benefit of its members, and to engage in other causes and activities that will promote and safeguard the interests of the ceramic tile and stone industry in the state of Arizona. To foster constructive and progressive legislation, especially as it may affect the tile and stone contractor, suppliers, related trades and other services involved in the ceramic tile industry in the state of Arizona. To promote confidence, respect and good fellowship among all who are directly or indirectly engaged in the Ceramic Tile and Stone industry.